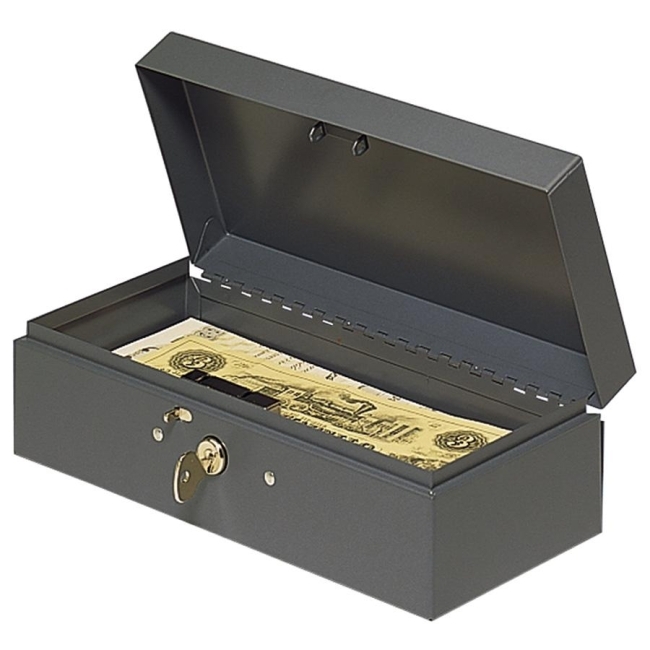 Lockable cash bond box is ideal for holding petty cash. A safety-latch system keeps lid closed when unlocked. Heavy-gauge steel construction features piano hinges with hinge stops and a scratch-resistant finish. Cash box includes two keys.